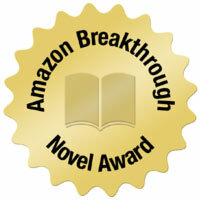 Amazon and Penguin recently announced their fourth annual Breakthrough Novel award competition. The international competition to find the next popular novel will award a grand prize to the best book in the general fiction category and in the young adult novel category. Penguin will publish both winning books and each author will receive a publishing contract with a $15,000 advance. Up to 10,000 submissions will be accepted between January 24 and February 6, 2011. Amazon.com editors will select 1,000 entries from each category to advance to the next round. In the subsequent round, Amazon.com editors and at least one top reviewer on Amazon.com will read excerpts of the 2,000 entries and narrow the pool to 500 quarter-finalists (250 in each category). Reviewers from Publishers Weekly will then read, rate and review the full manuscripts, and 50 semi-finalists for each category will be selected. Penguin editors will evaluate the manuscripts of the 50 general fiction and 50 young adult fiction semi-finalists, and choose three finalists for each award. The top three manuscripts in each category will then be read and reviewed by two panels of esteemed publishing professionals. The 2011 panelists for the general fiction category are: Lev Grossman, author of the New York Times bestseller “The Magicians” and book critic for Time Magazine, literary agent Jennifer Joel of ICM and Marysue Rucci, Vice President, Editorial Director with G.P. Putnam’s Sons. The panelists for the young adult fiction contest are: Gayle Forman, journalist and author of the New York Times bestseller “If I Stay,” literary agent Julie Just of Janklow & Nesbit and Jennifer Besser, Vice President and Publisher, G.P. Putnam’s Sons Books for Young Readers. In the final stage of the competition, Amazon.com customers will have seven days to vote for a Grand Prize Winner in each category. The two Grand Prize Winners will be announced in New York on June 13, 2011. Each winner will receive a publishing contract with Penguin, which includes a $15,000 advance.